No Zero Waste policy is possible without waste separation. Waste doesn’t exist “per-se”, we create it when mixing our discards. If our discards are separated they are not waste but a resource. This is why the second step in waste management (after having done everything possible to prevent waste) is waste separation. Waste can be separated at source –i.e. the citizen sorts out the waste- or at the end –i.e. a waste company separates the waste after it has been mixed-. When comparing both options source-separated systems not only significantly out-perform commingled collections on both material quality and diversion rate but also cost less. For example, in order to re-melt glass into new containers, a high level of purity and colour sorting are required. Mixed or crushed glass is of no use for re-melting and is usually sold much cheaper for use as aggregate, which has no climate benefit. There is a big environmental benefit to recycling glass – each tonne of glass re-melted in the UK saves 314kg CO2 – so if possible glass should be separated by colour as it is collected. This is why the new Waste Framework Directive of the European Union requires source-separated collection except when it can be proved that it is not “technically, environmentally and economically practicable” (art.11). But when it comes to source-separate collection there are ways to optimise the process and achieve the highest diversion rates together with the highest purity of materials. In this sense, door-to-door separate collection provides a lot higher results than separate collection in containers. The European best practices in waste management use door-to-door collection. Flanders in Belgium is the region with highest separate collection and recycling rates in Europe. Most of the collection takes place door-to-door and in some districts using the Pay-as-you-Throw (PAYT) system in which citizens pay according to how much residual waste they produce. 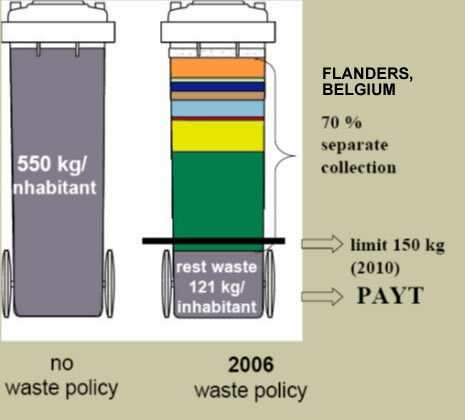 Right now Flanders separately collects 75% of their waste and some municipalities are above 80% recycling. In Italy more than 1500 municipalities have adopted “door-to-door” separate collection and are already above 55% source separation. 20% of them (300 municipalities) are over 80% source separation. Door-to-door collection takes place in all kinds of communities; the whole of Torino province (2,5 million hab.) has achieved rates above 50% separate collection. Downtown Torino in only 3 years since the start of door-to-door they have jumped from 25% to almost 60% separate collection. Other cities such as Trento (110.000hab) or Novara (100.000hab) have achieved impressive separate collection rates and even Milan is starting to use door-to-door collection. All italian Zero Waste municipalities are using door-to-door separate collection. 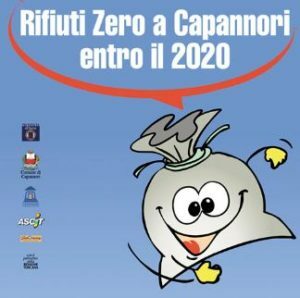 The first Zero Waste municipality in Italy, Capannori (50.000 hab) jumped from a separate collection of 37% in 2005 to 82% in 2008 thanks to the introduction of door-to-door separate collection. Economic impact: The cost of moving into door-to-door system were entirely covered by the savings of recycling 16000tons of waste instead of sending it to disposal. In total a saving of 2.348.000 million € for 2007 which allowed to reduce the bill of the citizens by 20%. Environmental impact: only looking at the effects of recycling the 6000 tones of paper and cardboard that was being burnt and now is recycled: it avoided logging 100.000 trees, the consumption of 2.85 millions of liters of water (enough to provide water to 31000hab) and the emission of 9.100 tones of CO2 (equal to the emissions of 680.000 oil barrels). Following the Italian successful initiative the first door-to-door separate collection in Spain took place in Catalonia where right now more than 100 municipalities use the door-to door system. The system is also starting to be used elsewhere in the country, more concretely in Mallorca (30 municipalities) and the Basque Country: In the Basque Country Usurbil was the first Zero Waste municipality in the Basque Country and hence the first one to adopt door-to-door collection in 2009 and in 7 months managed to jump from 28% to 82% of separate collection and achieved 36% of waste reduction. The success has encouraged other municipalities (Hernani and Oiartzun) to join the Zero Waste strategy and source-separate waste and they are both currently recycling more than 80% of their waste whilst reducing their waste generation with measures such as home composting. 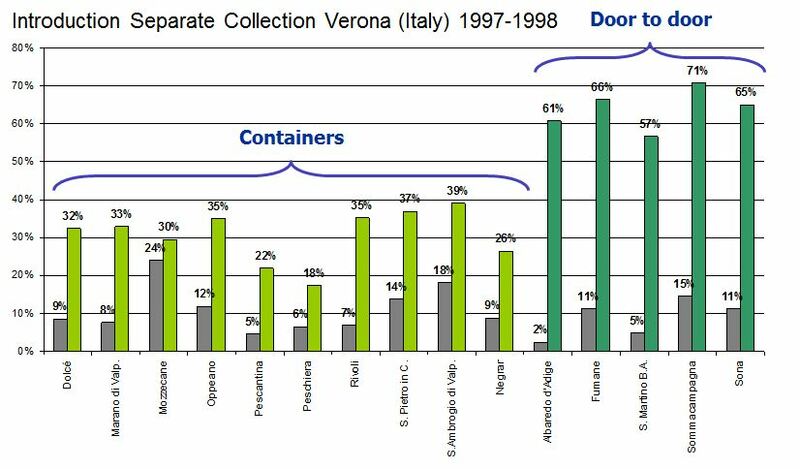 Right now in Spain the percentages of separate collection for those municipalities with door-to-door collection almost triple those with containers. Door-to-door separate collection is not exclusive for Europe; it is happening also overseas and the Zero Waste city of San Francisco in the US is the leading city in recycling the american continent and recycles already 75% of the waste. The Zero Waste practices from around the world prove the convenience -in environmental and social terms- and cost-efficiency of door-to-door separate collection. The European best practices in waste management use door-to-door collection. we are located in Inida. we have alresdy started Door to door collection of MSW in a city where the daily waste generation is 400 Tonnes. Now we want to expand this concept tp two more cities. we are looking for the better option to transport the segregated mass like Organic waste and in organic waste. looking for the better transport mechanism to handle the door to door segregated waste. though we have started the door to door segregated waste , still in some pockets we are lagging to do it. is there any suggessions to improove or motivate the public to segregate the stuff in two to three categories.